AT&T has announced detailed pricing information for its iPhone 3G plans and will start selling the iPhone 3G at 8am on July 11th in the U.S.
For AT&T customers who are ineligible for the subsidized pricing, AT&T is offering an "early upgrade" price of $399 (8GB) and $499 (16GB). You can check your eligibility in your online AT&T account (screenshot). Finally, AT&T is offering an unsubsidized price of $599 and $699 at a later date as a "no commitment" price for individuals who do not wish to sign a long-term contract. 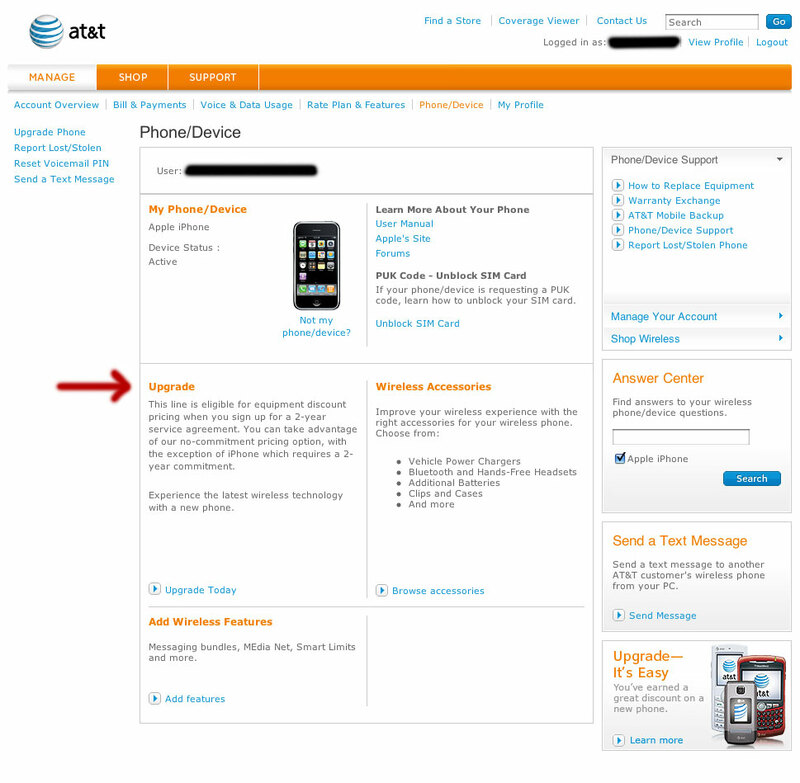 AT&T is offering a iPhone 3G common questions guide for existing and new AT&T customers.